LOCATION, LOCATION, LOCATION. Waiting for a new home. 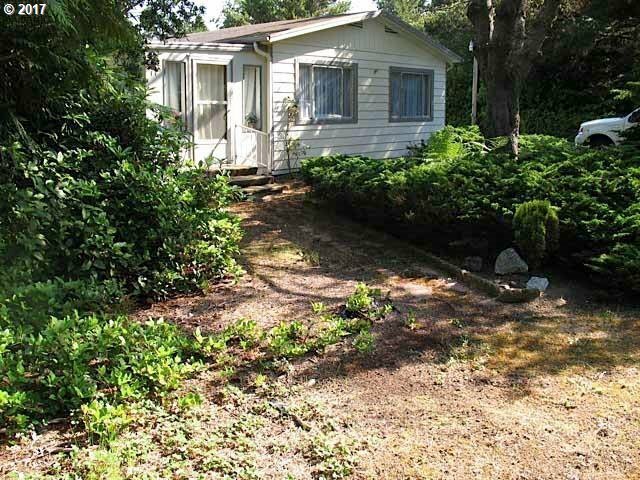 1974 manufactured home has seen better days but has enjoyed being placed on a level lot in the beach area that is just under a half acre. Paved driveway, RV parking & hook-ups, 2 car detached garage, carport with storage, and more. Power and Heceta water are still connected. What you see and including septic system is "AS IS"; buyer to do own due diligence. Selling Office: Century 21 Best Realty, Inc.